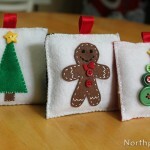 Want to give a teacher something cute and handmade? Gift an apple that will last year after year. 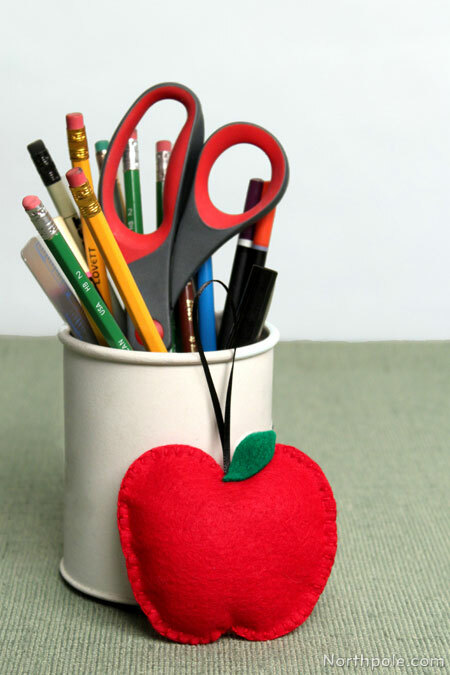 For a meaningful, heartfelt touch, you can embroider the year or the teacher’s name onto the felt. 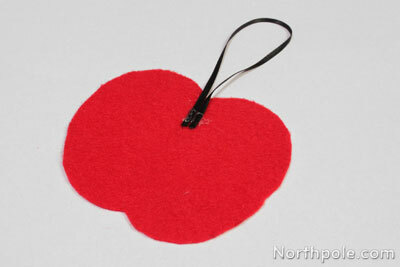 Trace template pieces onto felt and cut out 2 apple shapes. Cut a piece of ribbon that is about 6–7" long. 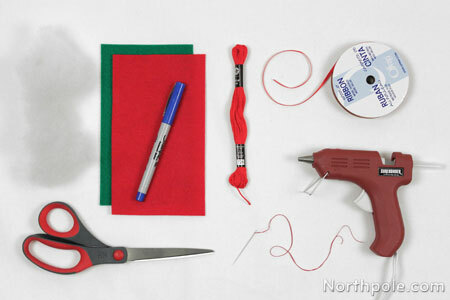 Fold the ribbon in half, and glue the ends onto one apple. Stack pieces and begin sewing together. 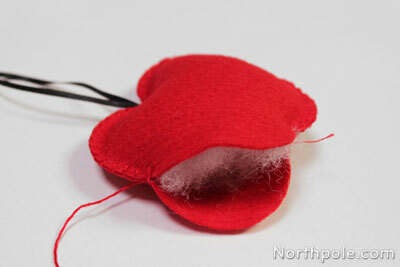 After you’ve sewn about 3/4 around the apple, fill with Poly-Fil®. 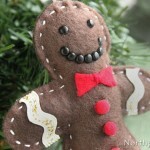 Using the template, cut out a leaf from green felt. Using a small amount of hot glue, glue the leaf near the top of the apple. 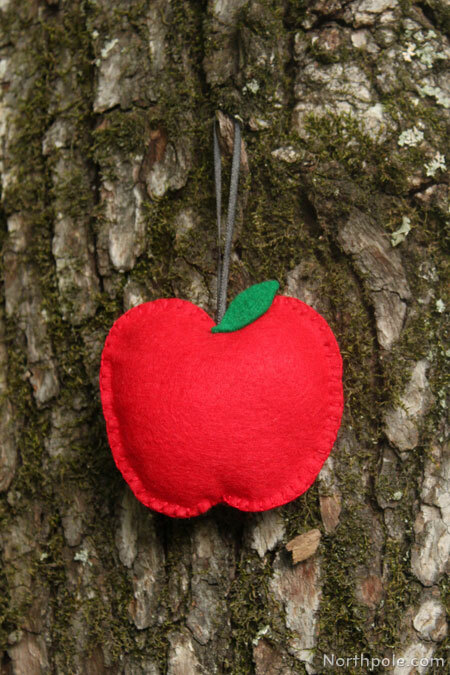 Now your apple ornament is complete! 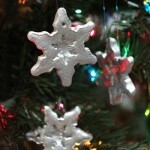 Give it to your favorite teacher, or hang it on your Christmas tree.